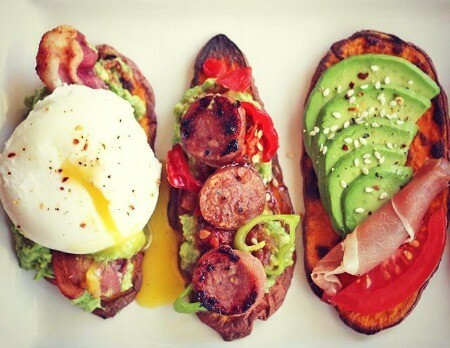 Mandolines are versatile tools that can greatly reduce the amount of time it takes to cut up ingredients and prepare a meal. Not only this, but they can even improve cooking time by cutting and slicing vegetables at the same size, allowing even cooking throughout. But, there are certain slicing tips for a mandoline slicers as well as best practices you can implement to ensure you are using it to the best of your ability. 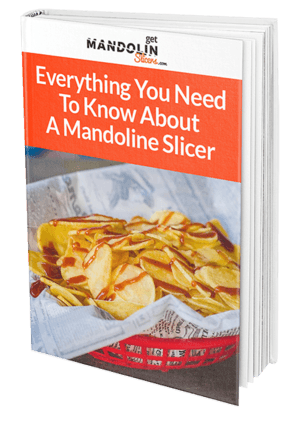 In this article, we will go over what mandoline slicers are and provide you a few tips on how to use them properly. 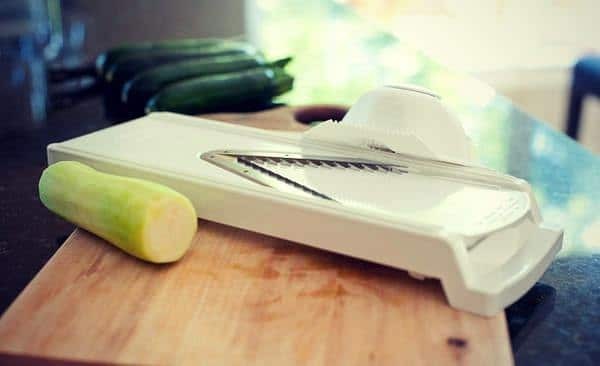 Although they can come in slightly different shapes and sizes, mandoline slicers are kitchen appliances that are designed to help cut, chop, or slice ingredients. Despite them commonly being used for fruit and vegetables, they are suitable for a vast array of ingredients. Keep in mind that different manufacturers provide different models and they all have unique features. 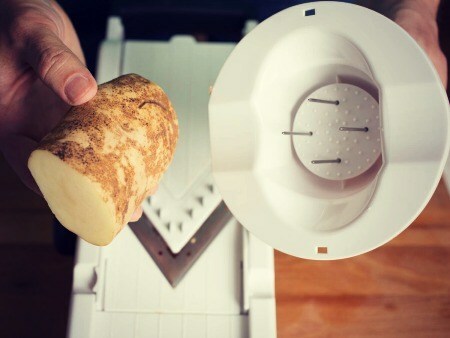 Always consult your user's manual and get familiarized with your slicer before you use it. As we mentioned before, there are countless brands that manufacture different models, so the best way to get acquainted with your slicer is to read the user’s manual. This will allow you to learn about all the parts, features, and recommendations for your specific slicer. Also pay special attention to the warranty, usage instructions, and accessories. If your slicer has additional blades and other attachments available, it can help you prepare meals even faster and more efficiently. Some mandolines require partial assembly or setup, so double check your instructions and verify that it's set up correctly. Also, make sure you look at additional locks and safety mechanisms that may need removing before using the slicer. Once you have reviewed your instructions and have your slicer set up, it’s time to adjust the thickness of your ingredients. Consider the meal you are choosing and any particular detail about your family, like how big they like their veggies chopped. Remember that adjusting the height and thickness is a feature that’s only present in some slicers, so double check your manual to make sure your cutting appliance is capable. More intricate slicers bring additional features to choose from, so go over all the possible settings you may have and make sure you are satisfied with all of them. Moreover, you can add any attachment or put on any safety accessories at this point. Mandolines already come with a hand guard that is designed to help you push your ingredients onto the blade. It often comes in the form of a cap-like holder that is placed between your ingredients and your hand. You can then use it to move your ingredients and cut them up without putting your fingers at risk. You can slide a plate or bowl beneath your mandoline to collect the sliced ingredients. Certain models include a little stand or area where you can rest the ingredients and put them into your cooking vessel when necessary. Mandolines have a long lifespan, but they require frequent cleaning and maintenance. Instead of putting your mandoline down, we suggest you wash it and rinse it as soon as you are finished with it. Note that plastic mandolines are often dishwasher friendly, so you can easily put them with the rest of your dishes. Stainless steel models also tend to be dishwasher-safe, but often require disassembly of some sort. 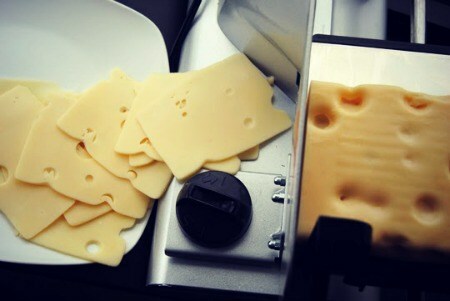 Once you receive your slicer, you will notice that its performance changes according to the ingredient you are cutting. If you are cutting hard vegetables and roots, you will need to exert more force than cutting soft fruits. 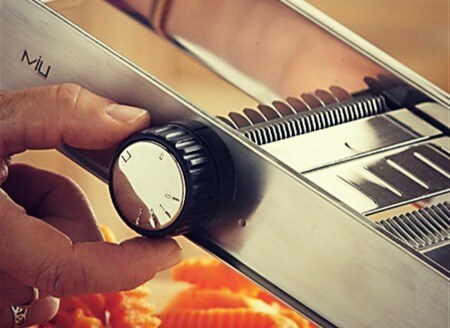 To counter this, you can adjust your technique and find the right angle that will help both you and your slicer. Whenever you are struggling to slice an ingredient, simply try to find the right technique and pace that best suits it. Mandolines are awesome tools, so follow the tips outlined above to make sure you are using your mandoline slicer to its full potential. Always keep safety in mind, give yourself some time to practice and you will be creating delicious and beautiful meals in no time.